These speakers deliver the boom without taking up space in your room. 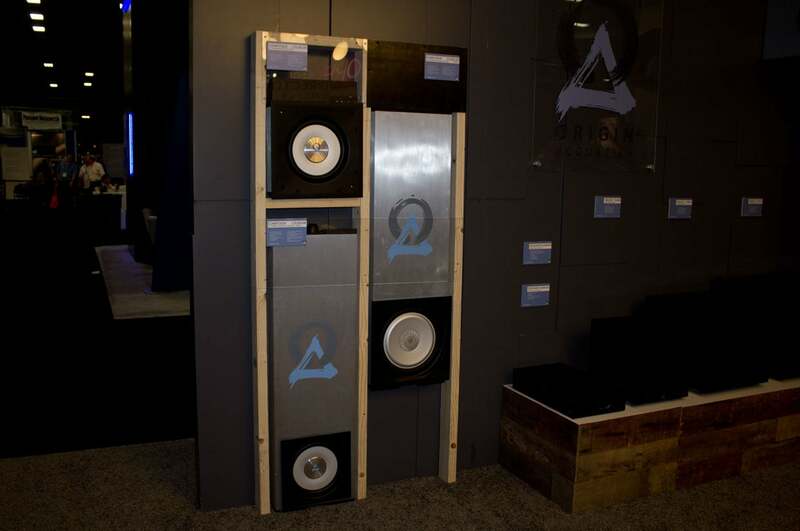 CEDIA Expo, Dallas, TX—Origin Acoustics is showing off a new series of architectural speakers at CEDIA 2015. If you’re not familiar with this class of product, it describes speakers that can be hidden inside your home’s walls and ceiling so they can be heard without being seen. The most interesting of Origin’s new models are its in-wall and in-ceiling subwoofers. The in-wall Composer series is available in a 10-inch model that can be installed in an existing home theater, and a 12-inch model that is designed for new construction. Subwoofers need lots of airspace, which is a challenge for a cabinet that must fit inside a wall. 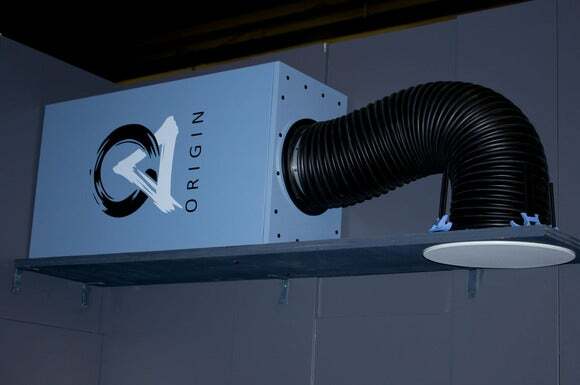 So Origin’s engineers fabricated these from extruded-aluminum enclosures instead of the more commonly used MDF (medium-density fiberboard). 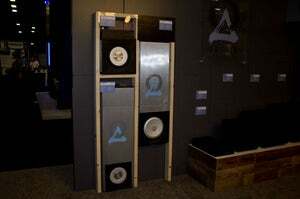 Origin CEO Jeremy Burkhardt said this gives Origin’s new in-wall subs 40 percent more airspace than if they’d used MDF. To install the 10-inch Aluminum Composer Retrofit In-Wall Subwoofer ($1400) in an existing wall, you just cut a hole large enough to accommodate the area of the cabinet that will be exposed after installation, and then slide the cabinet up inside the wall. A thick rubber gasket around the enclosure isolates the speaker from the surrounding studs and drywall, so your walls won’t vibrate. The 10-inch retrofit model is at the top left. It’s also available with a 42-inch enclosure for new constructions. Both models feature long-throw aluminum woofers with dual voice coils, and two audio inputs so they can run in parallel with other speakers. An oversized, front-mounted heatsink on both speakers dissipates high temperatures, according to Origin, so the speaker cones can deliver a more linear response with less distortion. Origin also introduced two new amplifiers to drive these subs. The SUBA150 ($550) is a single-channel amp that delivers 150 watts of power to the sub. The SUBA500 ($1100) is a 500-watt amp that comes preloaded with DSP settings optimized for in-wall subwoofers. If your walls are made from masonry, Origin introduced two new in-ceiling subwoofers that are designed to be installed in your attic or between floors in a multi-level home (see picture at the top of this story). The dual 6-inch DSUB6 and dual 8-inch DSUB8 woofers have tubes that emerge from their enclosures, so bass and low-frequency effects can be piped to a grill in the ceiling. Alternatively, the subs can disappear entirely when the installer connects the tubes to 4- or 6-inch recessed lighting fixtures. Origin did not provide pricing for these models.